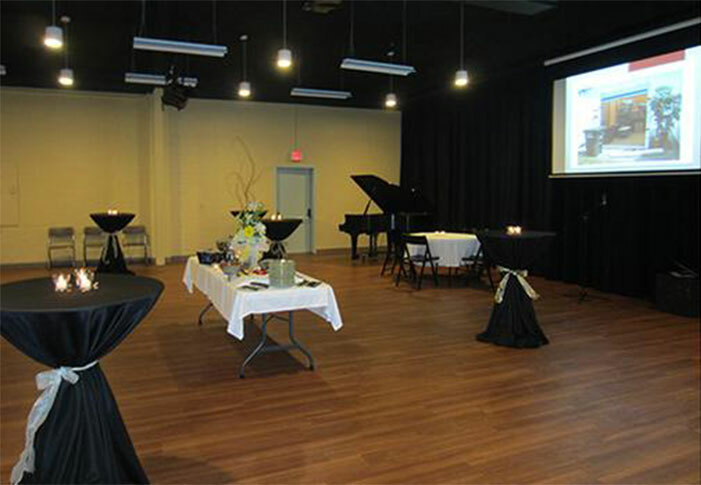 Our convenient location and beautiful facility make a perfect place to host your event! The Pensacola Opera Center is conveniently located just two blocks off of Palafox and is comprised of administrative offices and a large rehearsal hall used for receptions and black box performances. Performances held in the rehearsal hall can typically hold around 70 people in general admission seating. There is a full kitchen available for use, and separate men’s and women’s restrooms. There is street parking available in front of the building, but it is very limited. You can view a map of downtown parking options here.